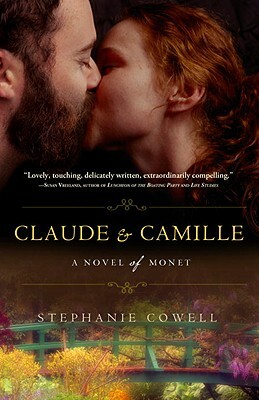 A vividly-rendered portrait of both the rise of Impressionism and of the artist at the center of the movement, Claude and Camille is above all a love story of the highest romantic order. In the mid-nineteenth century, a young man named Claude Monet decided that he would rather endure a difficult life painting landscapes than take over his father’s nautical supplies business in a French seaside town. Against his father’s will, and with nothing but a dream and an insatiable urge to create a new style of art that repudiated the Classical Realism of the time, he set off for Paris. But once there he is confronted with obstacles: an art world that refused to validate his style, extreme poverty, and a war that led him away from his home and friends. But there were bright spots as well: his deep, enduring friendships with men named Renoir, Cézanne, Pissarro, Manet—a group that together would come to be known as the Impressionists, and that supported each other through the difficult years. Even more illuminating was his lifelong love, Camille Doncieux, a beautiful, upper-class Parisian girl who threw away her privileged life to be by the side of the defiant painter and embrace the lively Bohemian life of their time. His muse, his best friend, his passionate lover, and the mother to his two children, Camille stayed with Monet—and believed in his work—even as they lived in wretched rooms and often suffered the indignities of destitution. But Camille had her own demons—secrets that Monet could never penetrate—including one that when eventually revealed would pain him so deeply that he would never fully recover from its impact. STEPHANIE COWELL is the author of Nicholas Cooke: Actor, Soldier, Physician, Priest; The Physician of London (American Book Award 1996) and The Players: A Novel of the Young Shakespeare. She is the also the author of Marrying Mozart, which was translated into seven languages and has been optioned for a movie. Visit her at www.stephaniecowell.com and http://everydaylivesfrenchimpressionists.blogspot.com.